Is surgery needed to treat my bunions? The answer to this question is based on the severity of the bunion deformity and the patient. Bunion surgery is typically elective surgery used after using more conservative treatments. The typical cost of bunion surgery can vary depending upon the procedure used, insurance coverage and the facility where the procedure is performed. Read more information about bunion surgery cost. Initial evaluation including x-rays and a gait analysis will be performed. Bunion surgery is an ambulatory procedure. This means that the procedure is performed in an outpatient setting and typically takes an hour or two to perform the surgery. Bunion surgery is typically performed with a local anesthesia and either Arthroplasty or Osteotomy is performed. These procedures will reshape or cut the protrusion and typically titanium screws are inserted. The surgical screws will hold the bones in the new corrected position and provide long term stability to the area. However, there are more than 100 different surgical procedures for bunions. Bunions are a progressive condition, which the severity of the condition worsens over time. As a result, the ideal procedure, amount of soft tissue and bone effected, and recovery time will vary with each patient. If surgery is recommended for your bunion(s) speak to the doctors about the type of procedure for your case and anticipated recovery times. If your bunions are not severe enough for surgery at this time it is advised you take some action to slow the progression of bunions. Contact the Washington Bunion Center today for an appointment to learn more about surgeries or how to slow bunion progression. The surgery is painless with minimal discomfort the during recovery period, which is treated with over the counter pain relievers. Dependent upon the severity and degree of correction, many patients are back on their feet in a few days. Many factors will determine your level of discomfort and anticipated recovery time from bunion surgery. These factors include the degree of repair and the type of procedure performed to correct your bunions. Recovery times can vary based on these factors, however many patients will be back on their feet after a few days. Bunion surgery is only recommended after conservative bunion treatments have been proven ineffective. 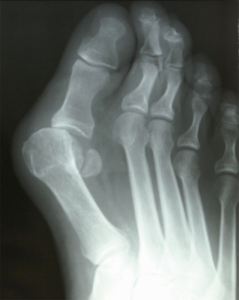 If surgery is a recommended course of action , the type of procedure performed is specific to each patient’s unique bunion. 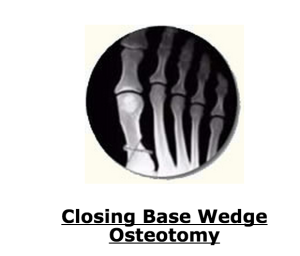 There is no best bunion surgery, the best method for repairing a patients bunion is determined by the patient’s unique foot structure, gait and other factors. The Washington Bunion Center is equipped with an ambulatory surgery center. The doctors perform these surgeries in the office, this reduces costs for patients. 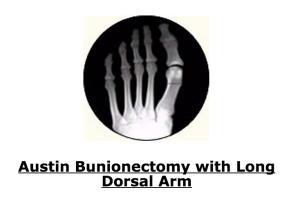 Bunion surgery performed in our surgical suite does not require a hospital stay and operating costs are less than performing the same procedure in a hospital. The doctors do perform surgeries in local hospitals when necessary, however most patients appreciate the opportunity to have their surgery performed in a relaxed and familiar setting with staff they are already familiar with. The costs are lower compared to having the procedure performed in a hospital and does not require a hospital stay. Our bunion surgery patients are released the same day as the procedure.